After this last weekend's project, I ended up with more on my plate to fix than originally planned. I found the Windows based GUI TFTP client listed here to be the best for restartable TFTP sessions. First I'd get a a few errors, then at least 5 pings before it timed out. Setting the timeout to 10, then starting the TFTP attempts prior to the 5/5/5 maintenance mode boot, I was able to send successfully! 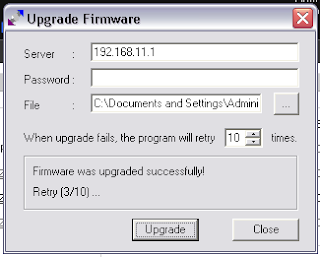 Firmware was indeed what it came down to. 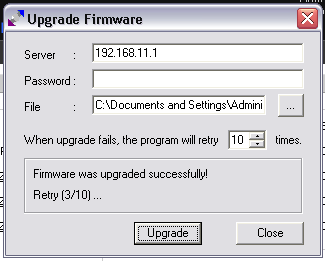 I chose a firmware that was both a different feature set, kernel, and wireless driver. Essentially, it was too much for the nvram to handle. Even during that initial upload, I was amazed at just how fast that firmware uploaded. Oh, wait it actually didn't. So back to my last "good" firmware, the 14929 vpn K24 sp2 build from Brainslayer. From what research I have gathered, when making the jump to the NEWD-2 firmware, it includes a jump to the K26 series. When I've got more time on my hands and as the builds mature, I'll jump back in and try out the latest and greatest. Meanwhile the trusty 14929 will have to do. At least if I did actually brick my device, I've got another one to spare.